Fires are devastating disasters that can cause extensive damage to a home or building very quickly and the soot damage that is left behind in the aftermath can continue to make matters worse. 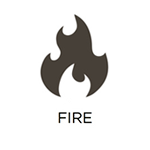 As soon as the fire is put out, contact RestorationMaster to help limit the spread of the damage. We provide fire damage restoration services for homes and businesses in Tulsa, OK and respond quickly to fire damage emergencies to help mitigate the damage and begin the restoration. Soot and corrosive byproducts can cause irreversible damage in hours after the fire so it is important to call as soon as possible. Water damage is one of the most common forms of structural damage as it can be caused by weather related factors such as rain and floods as well leaks and excess moisture. When water damage occurs, it is important to act fast because it spreads quickly through porous materials and can even cause mold growth. RestorationMaster provides water damage restoration services to help homes and businesses in Tulsa, OK that have been damaged by flooding or excess water. 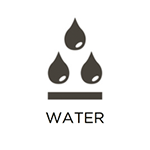 We will remove excess water and moisture from the building and provide thorough drying and dehumidification services. Standing flood water in a home or building can quickly cause serious damage because most building materials and furnishings are porous. There are many potential causes of indoor flooding from natural floods to leaks or burst pipes and if the water is not removed quickly, you may experience extensive structural damage and even mold growth. RestorationMaster provides flood damage restoration services to help remove flood water from homes and businesses in Tulsa, OK and restore the resulting damage. We have advanced water extraction and drying equipment that allows us to remove all standing water and completely dry the affected materials. The carpet is a major part of the overall appearance of a room or office but it is often overlooked when it comes to providing adequate cleaning. Consistent foot traffic causes dirt and debris to become embedded in the fibers which will cause the carpet to appear dirty and eventually start to deteriorate. RestorationMaster provides professional carpet cleaning services for homes and businesses in Tulsa, OK to thoroughly clean and restore all types of carpeting. Our advanced cleaning equipment and products will remove embedded debris from the fibers as well as spots and stains. Finding mold growth in a home or building can be very discouraging because not only is it unsightly, it can cause property damage and increase the risks of respiratory disease and infection. Mold growth occurs when the right conditions are met and it will continue to grow and spread until the right action is taken to remove it. RestorationMaster provides mold remediation services to remove mold growth from homes and businesses in Tulsa, OK. In addition to removing the mold growth, we will repair the moisture source to prevent future mold growth and repair or replace the damaged surfaces. Mold growth can be a major problem in a home or business because it results in serious damage and it can also cause negative health effects such as allergies and infection. 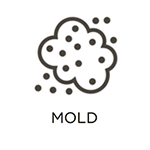 Mold only needs water and a food source to grow and it spreads quickly by dispersing its spores. The longer the mold growth is left, the more it will spread and cause significant structural damage. RestorationMaster provides mold removal services in Tulsa, OK to clean up and remove mold growth from homes and businesses. Our technicians use advanced cleaning equipment to remove mold and we will also repair the resulting damage. Unfortunately, serious injuries and death are a part of life that occur from time to time and if you encounter a serious situation involving biohazard materials such as blood or other bodily fluids, it is best to have a certified professional handle the cleanup. RestorationMaster provides trauma scene cleaning services to safely and effectively cleanup scenes involving death or serious injury. Our technicians work quickly and discreetly to restore the scene to a safe condition and we will make sure to keep your privacy protected. 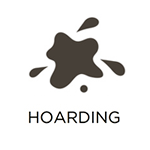 Hoarding is a major issue that can have a drastic effect on the hoarder as well as family members that live in the home. The most common behaviors of hoarding are caused by underlying anxiety that prevents the affected individual from throwing away anything in their home. As the hoarded items accumulate, the home becomes dangerously cluttered and unsanitary. RestorationMaster provides hoarding cleaning services in Tulsa, OK to clean up and restore homes affected by hoarding. Our technicians take a respectful approach to these projects and make sure to include the affected individual in the cleaning process. Violent crimes occur each day in the U.S. and if one occurs on your property, it is very important to take the right actions. 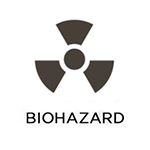 The scene of a crime often contains biohazard materials such as blood and bodily fluids and they can easily spread infection or disease if they are not handled properly. RestorationMaster provides crime scene cleaning services in Tulsa, OK to remove biohazard materials and ensure that the scene of a crime is cleaned and sanitized. We use effective cleansers and disinfectants to clean the scene and we approach these situations with a sense of compassion for those who may be grieving a loss.